Join Wula Gura Nyinda Eco Cultural Adventures for a unique life changing experience never to be forgotten. 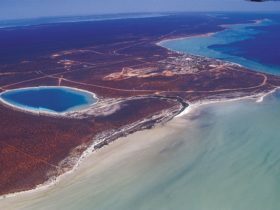 They offer Aboriginal cultural experience, kayak and wildlife adventures, four wheel drive tours, overnight and extended tours in the magnificent Shark Bay World Heritage Area. Where the red sand from the desert meets the blue water of the Indian Ocean, immerse yourself in nature and indigenous culture to discover the ancient traditions of local Nhanda and Malgana Aboriginal people. Learn how they have survived for thousands of years in this unique saltwater playground. 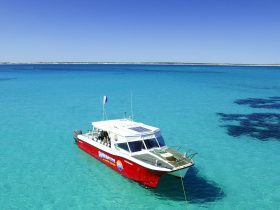 They visit the world class Francois Peron National Park, Hamelin Pool Stromatolites and the magnificent Dirk Hartog Island, the largest island in Western Australia. 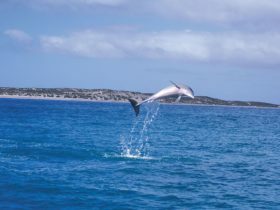 They are a local company and are proud that they have local knowledge and an in depth understanding of the Shark Bay region. All tours are conducted with a hands-on approach and are non strenuous making them ideal for all ages and fitness levels. 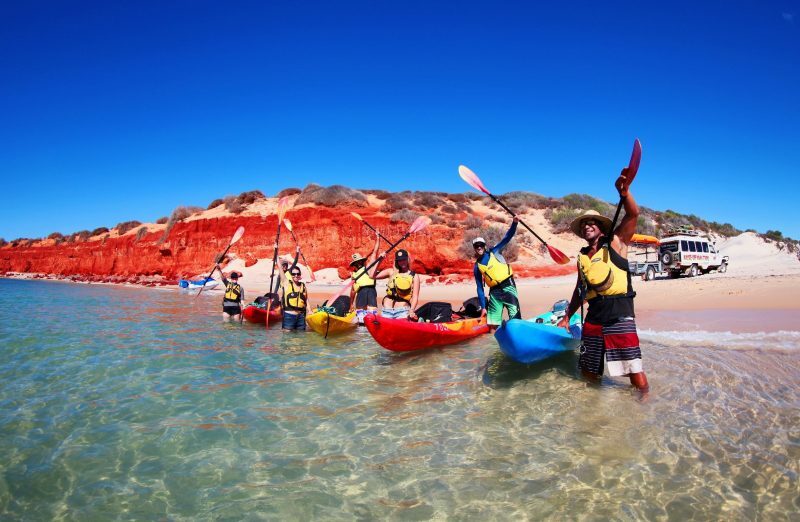 Join them on a guided kayak and snorkel adventure never to be forgotten. 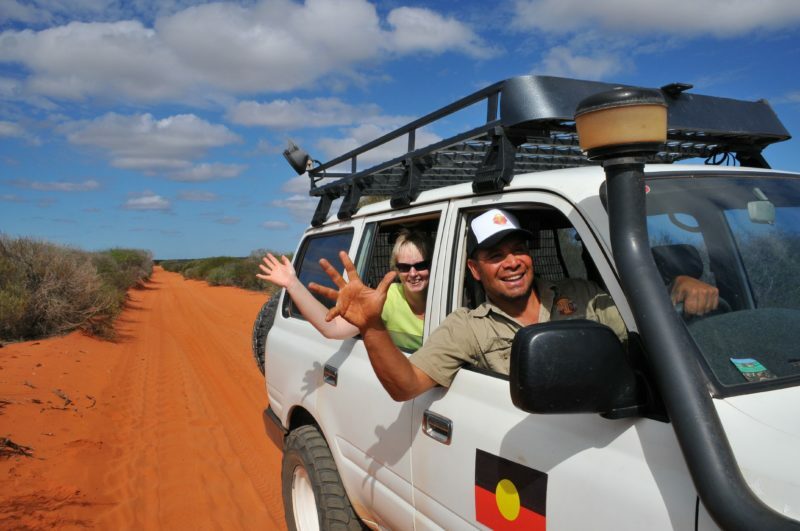 Once they pick you up, you’ll enjoy a comfortable four wheel drive ride through Francois Peron National Park stopping along the way to discover local Aboriginal bush foods, indigenous medicine plants and to be serenaded by some of the 230 bird species found in the area. After arriving at the location at Big Lagoon, they unload the kayaks, have a brief safety induction and then you’ll paddle out across beautiful clear shallow waters and sheltered bays. Approximately three to four hours is spent kayaking or swimming/snorkeling. They use their local knowledge to find turtles, sharks, rays, fish, birds and the elusive dugong. They then return for a succulent lunch on the beach and on their way home they stop at Peron Homestead to unwind and relax in a natural hot tub. Come for an overnight experience exploring the Francois Peron National Park and beach camping under the stars. 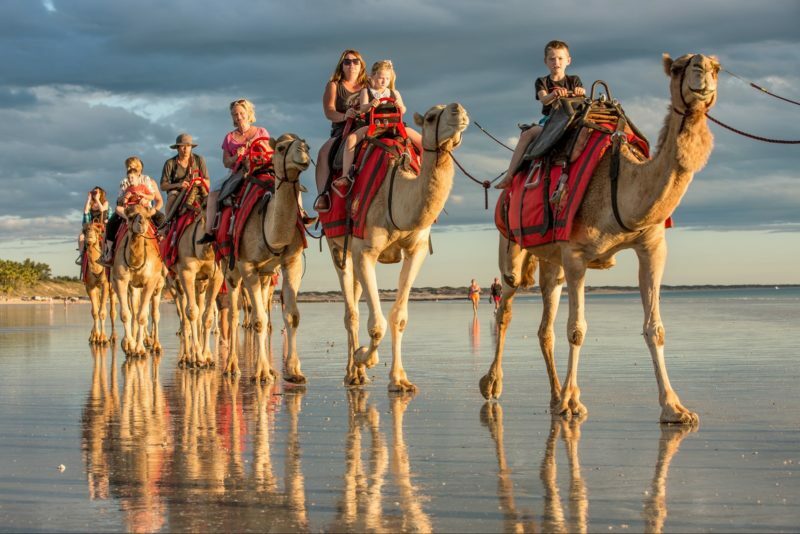 Explore stunning scenery in their comfortable four wheel drive vehicles, paddle through the pristine seascapes. They use their local knowledge to discover local sea life such as turtles, dugongs, stingrays, sea birds and the elusive dugong. Enjoy snorkelling, swimming, fishing, seafood gathering. 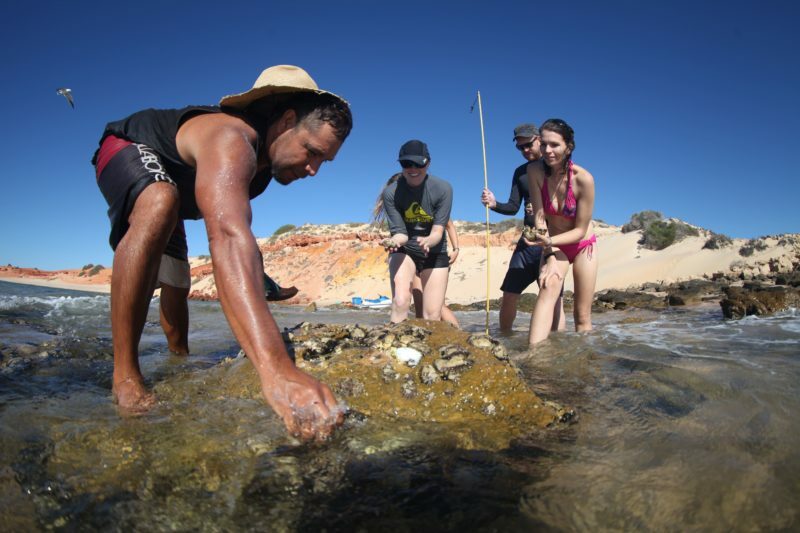 Catch and cook your own seafood on the beach campfire, listen to the sounds of the didgeridoo and hear the ancient Aboriginal stories about this breath taking Saltwater Country around the warm campfire. They use double kayaks which are stable and easy to paddle. Tour finishes with a relaxing hot tub at Peron Homestead. They provide catering, kayaking and camping equipment, all safety equipment, paddles, dry bags, snorkels and masks. Extended itineraries can also be created for special requests. Come and join this exciting night time adventure. Learn the secrets and stories of the indigenous Nhanda and Malgana people by the light of a campfire and transcend into the ancient and fascinating history of the Gutharraguda and its people. This is a fantastic opportunity to view amazing stars and the night sky and even learn how to play a didgeridoo and a chance to spot kangaroos, echidnas and many other native animals. Sit around a campfire, enjoy local seafood and learn how to cook fish on the coals, lose yourself in the stories of the Aboriginal dreamtime and be carried away by the ancient sounds of the didgeridoo. This tour is available only for group bookings. Awaken to the spirit of nature where the red sand from the desert meets the white sand from the ocean. This tour takes you on an amazing morning bushwalk along the Wulyibidi Yanayina (Peron Walk Trail). You will be amazed to learn the many ways in which “Country talks to you”. Highlights include: Bush tucker tasting; indigenous medicine plants and uses; animal tracking; local Aboriginal culture and history; Bird watching; and cooking on a campfire. Enjoy a comfortable four wheel drive adventure never to be forgotten and explore the spectacular Francois Peron National Park. 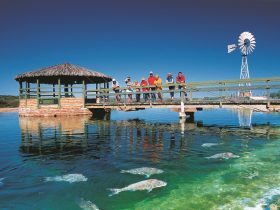 This Aboriginal owned and operated tour takes you into this world class Park allowing you to immerse yourself in nature and indigenous culture. Get a feel for why visitors from all across the planet want to travel here to where the red sand from the deserts meets the beautiful turquoise waters of the Indian Ocean. 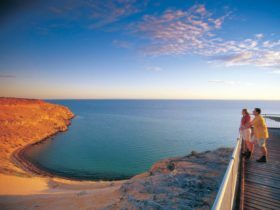 They visit fantastic look outs like Skipjack Point, Cape Peron and many other scenic locations which provide breathtaking views across the bay. Spot turtles, rays, sharks, dugongs, manta rays, birds and much more. Tours are fully catered and you’ll enjoy a beautiful home-style lunch on the beach. 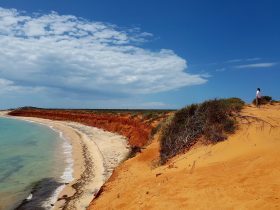 You can go for a refreshing snorkel and swim in one the many sheltered bays (subject to weather conditions) and on their way back they stop to relax and unwind in natural hot spring at Peron Homestead.